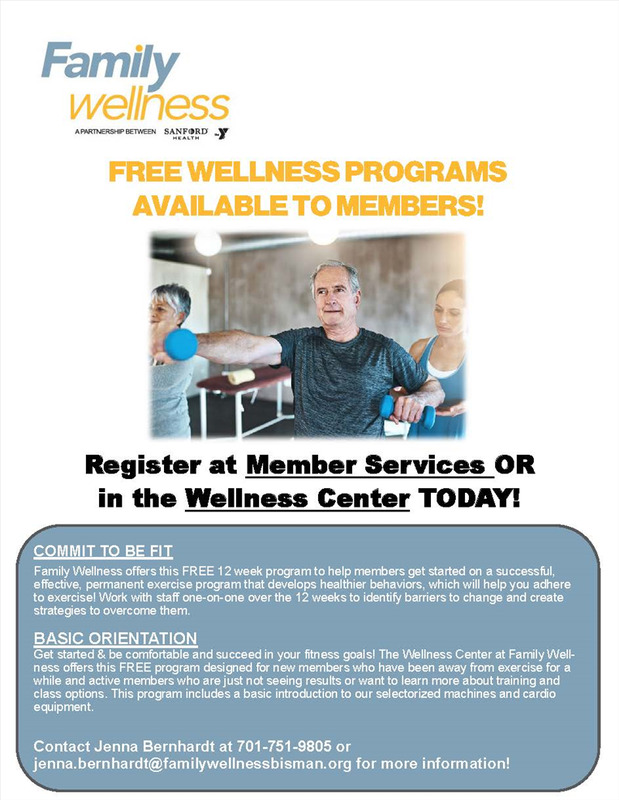 Family Wellness offers a 12 week program to help members get started on a successful, effective, permanent exercise program that develops healthier behaviors, which will help you adhere to exercise! Work with staff one-on-one over the 12 weeks to identify barriers to change and create strategies to overcome them. Available to members at no cost! Sign up anytime. For more information contact Jenna Bernhardt at 701-751-9805 or jenna.bernhardt@familywellnessbisman.org.